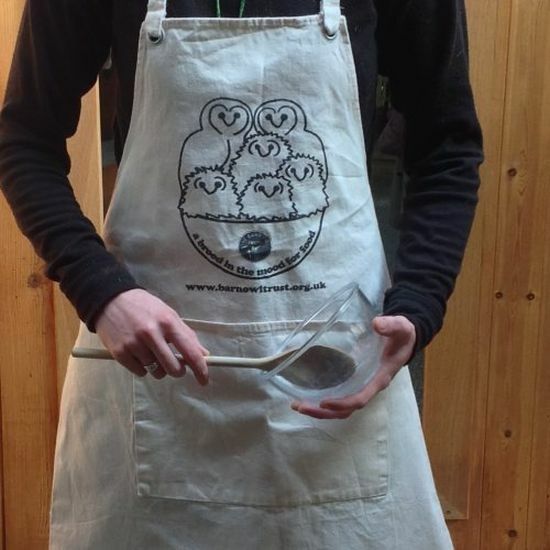 Unique Barn Owl Trust kitchen apron with useful large pocket. 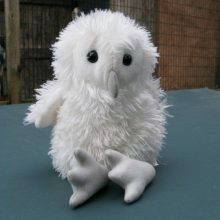 Made in the UK from 100% untreated 280gsm natural cotton. Available in Medium & Large sizes. 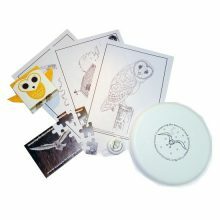 All proceeds support Barn Owl conservation. 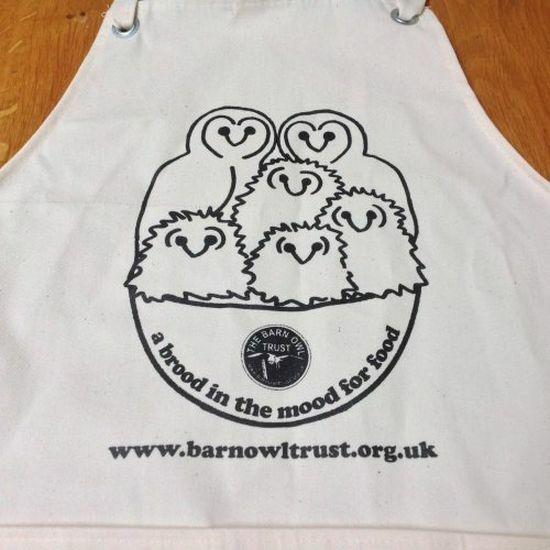 Barn Owl Trust kitchen apron with useful large pocket in soft natural cream cotton. 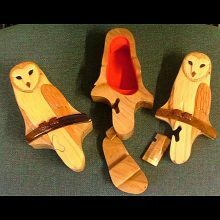 Exclusive Barn Owl Trust design, featuring a cute cartoon Barn Owl family. A great gift for the cook in your family. Made in the UK from 100% untreated 280gsm cotton. Natural cotton colour with printed design in black. 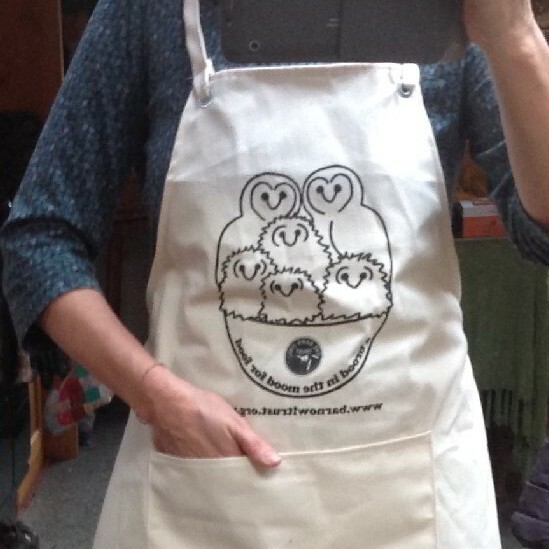 Metal eyelets for the strap fastenings, ensure that this sturdy kitchen apron will last while your brood grow! Medium: 600mm x 800mm, Large: 700mm x 900mm (will shrink slightly on first wash). 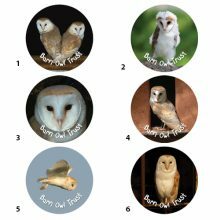 All profits support Barn Owl conservation.